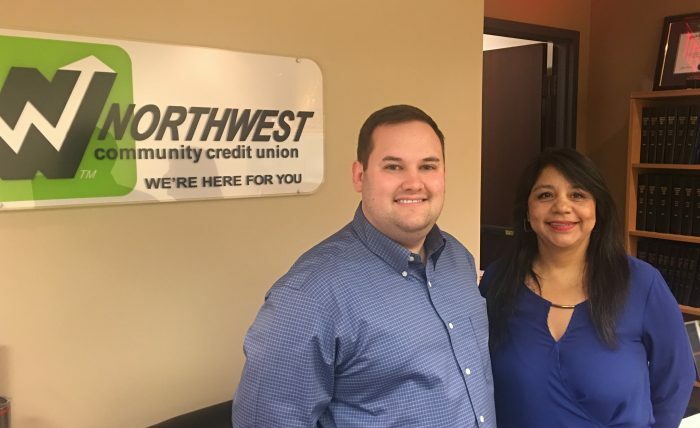 MORTON GROVE, IL (June 28, 2018) — Jose Garcia, President & CEO of Northwest Community Credit Union (NWCCU), recently announced the appointment of two individuals to the CU’s Board of Directors. The announcement was made at the annual meeting held in May. The two candidates, Ximena Granda (“Six”) and Nicholas J. Mancari (“Nick”), were nominated and received unanimous approval by the Board. “Six and Nick both bring additional expertise and enthusiasm to our already strong Board,” stated Mr. Garcia. “Both have been involved with our credit union for many years so their transition to the Board will be seamless,” continued Garcia. Ximena Granda, who has served as Chairman of the Supervisory Committee at NWCCU for the past serveral years, is Controller of the Illinois Finance Authority. She also held accounting positions at Arthur Anderson and Werner Co. She received her BS in accounting from Northeastern Illinois University and is a member of the Government Finance Officer’s Association of the U.S. and Canada. Nicholas J. Mancari currently serves as the Director of the Undergraduate Programs at the Graham School of Management (GSM) at Saint Xavier University (SXU). He also sits on the SXU Alumni Advisory Board and is SXU Staff Council President. Mancari was instrumental in the successful development and introduction of NWCCU at SXU, which is one of the few on-campus student run credit unions in the country. He has a BBA (Management and Marketing) and an MBA (Project Management) from SXU. Nicholas J. Mancari and Ximena Granda join the Board of Directors at Northwest Community Credit Union. Open to the public in Maine and Niles Townships in Illinois, Northwest Community Credit Union is located at 8930 Waukegan Road in Morton Grove. NWCCU also has a student run branch at Saint Xavier University in Chicago. The credit union, established in 1939, provides its members (community members, businesses and parishes) with a comprehensive roster of financial products and services to help them achieve their financial and personal goals. For information about Northwest Community’s saving and loan programs, financial products and exciting promotions, visit nwccu.com or call us at 847.647.1030 or email info@nwccu.com.